Here is a map from the U. S. Entomological Commission. 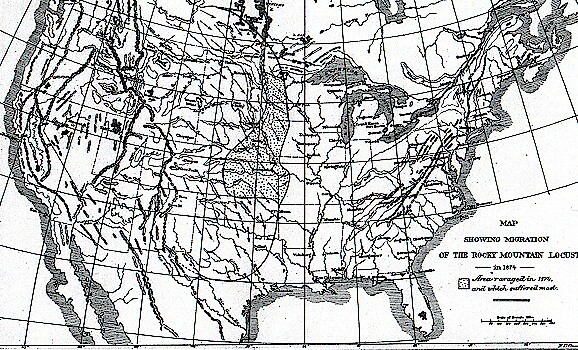 The dotted area in the midwest shows the primary range of the Rock Mountain Locust in 1874. Go back to Main Grasshopper Plague Page. This page was designed and is maintained by Lyndon N. Irwin.